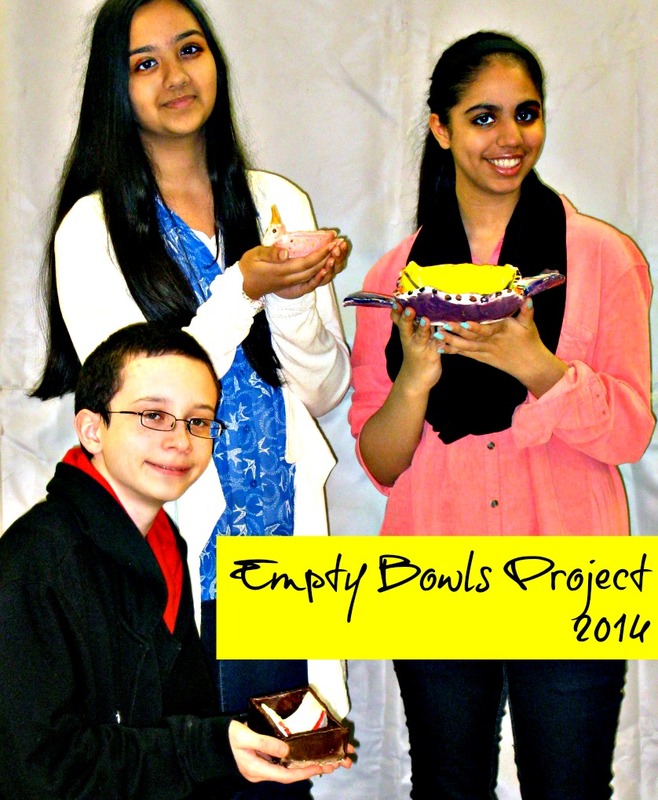 The Empty Bowls Project is a service learning opportunity for 8th grade students at MHMS. Students have created hand-made ceramic bowls in Art class and prepared food in FACS class as part of this project. On May 15th, we will hold our Empty Bowls Event that will include a meal, artwork and entertainment. For the price of a ticket, attendees will receive a 3-course meal and get a hand-made bowl to take home as a reminder of the empty bowls in our community. 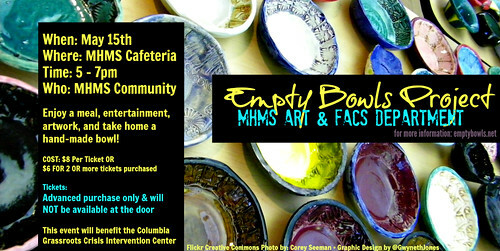 MHMS students/families must fill out the Empty_Bowls_Ticket_Order_Form completely and return it with money to your student’s homeroom teacher. Community members interested in tickets for the event just need to print the order form, write name(s), quantity of tickets and send or drop off the order form with money at the MHMS office on or before May 8th. Students interested in volunteering to work at the Empty Bowls Event must complete an application with Mrs. Abrams or Mrs. Ludlow.